Classes are available on Sundays for students in Grades 1-5 and on Tuesdays for students in Grades 6-8. Contact the office for more information. 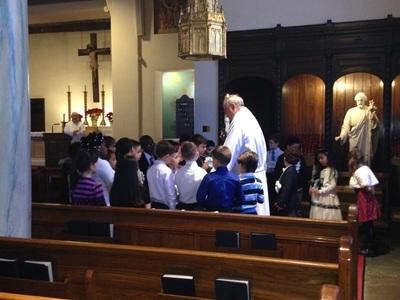 Classes for grades 1-5 are held on Sundays from 9:00AM-11:30AM. Class begins at the 9:00 AM Mass. Classes for grades 6, 7 and 8 are held on Tuesday evenings from 7:00PM-8:30PM. Classes begin in September and continue through May. 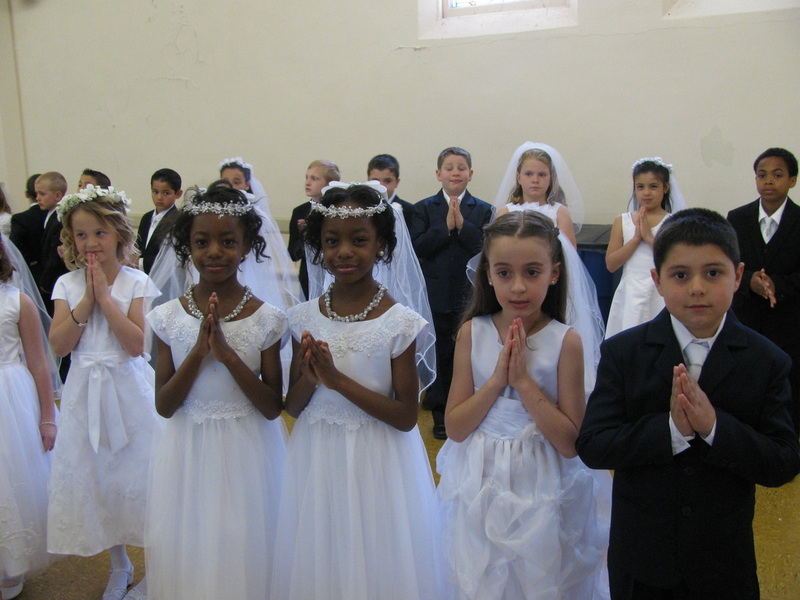 Registration for students NEW to our Religious Education program is going on now. Please call the Religious Education Office for an appointment. (914) 636-6758.
an association that was established in Rome in 1562 for the purpose of giving religious instruction. Religious Education Programs based on the goals and method of CCD are offered in every/Catholic parish for students in grades 1-12 who are Catholic and attending public or private schools that do not teach Catholic doctrine. Our Religious Education Program consists of formal religious education classes for grades 1-7; a youth group for grade 8, and a High School Youth Ministry. (See Youth Ministry for grades 8-12) Classes for grades 1-5 are held on Sundays from 9:00AM-11:30AM. Classes for grades 6 & 7 are held on Tuesday evenings from 7:00PM-8:30PM. Classes begin mid-September and continue through May. Guidelines. A more detailed explanation of our curriculum is available in the RE office. Volunteer catechists teach the classes. All catechists receive training before entering the classroom and on an on-going basis throughout the year(s) they teach. Every catechist is enrolled in the Archdiocesan Catechist Formation Program - a special course requirement consisting of 20 2-hour classes in spirituality, theology and methodology that culminates in catechist certification. Additional, more detailed course work of 40 hours, is encouraged and gives the catechist a Level Two certification in catechesis. The Director or Coordinator of the program supports and evaluates each catechist in a variety of ways throughout the year(s) he/she teaches in the program. Children with special needs attend classes according to their needs and abilities: resources such as a volunteer adult aide working one-on-one with the child, small group work, or home study are available and discussed with the child's parents at registration. 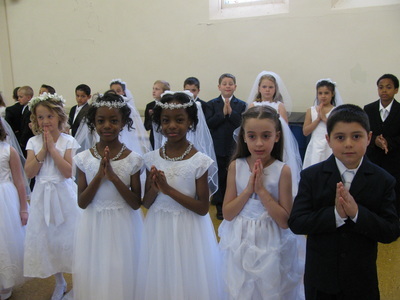 Our Religious Education Program is seen as an aid to our parents in the religious formation of their children. 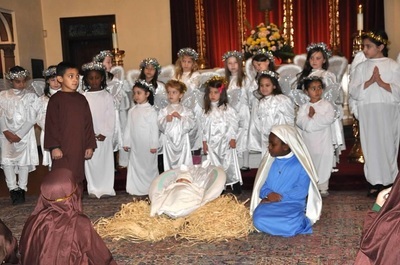 The Church has always seen the home - children relating to one another, to their parents and extended family members - as the primary source of religious formation. Religion class is an extension of the faith formation that occurs at home. The Director/Coordinator of the program and her staff are available to assist families in any way they can. Programs for parents are offered throughout the year.